ANNA MARIA ISLAND – City officials on Anna Maria Island are praising Manatee County’s response to the red tide crisis, particularly in terms of cleaning up the beaches along the Gulf of Mexico shorelines. County crews and others, including some volunteers, have been working seven days a week to keep the Island beaches as free of dead fish and marine life as possible. On Monday morning, Whitmore forwarded to the three Island mayors a 7:45 a.m. red tide update distributed by Parks Operation Manager Carmine DeMilio and Executive Assistant Marianne Lopata. “Coquina Beach and Cortez Beach have light amounts of fish. Cortez Beach north to Bean Point has light amounts of fish. We are running one beach rake from Bean Point southward. We are running one beach rake from the Coquina Pass northward,” the update said. “Bayfront Park is being cleaned by staff. Coquina North Boat Ramp is very light with fish and will be okay shortly. Coquina South Boat Ramp is very light with fish and will be okay shortly. Coquina Bayside is very light with fish and will be okay shortly. Air quality is okay but some minor irritation and coughing. Smell is okay in the county-maintained areas,” the update said. Elliott Falcione serves as executive director of the county-funded Bradenton Area Convention and Visitors Bureau (CVB) that works in unison with the county’s Tourist Development Council (TDC). “With the recommendation of the TDC, the Board of County Commissioners made the decision to use tourist dollars for this kind of situation,” Falcione said Monday morning. A significant portion of the county’s resort tax revenues are generated on Anna Maria Island. Falcione encourages vacation rental companies and owners to work with impacted customers in a cooperative manner that encourages the repeat business that’s a staple of the county’s tourism industry. He said the CVB is monitoring the red tide impacts on a daily basis and providing red tide information to the public at the county tourism website. “The best thing we can do for our customers is to be totally honest with them. If there’s red tide, we’ll share that. If it’s modest, we’ll share that. If it’s bad, we’ll share that. And if it’s gone, we’ll share that. You have to share the news good and bad, and we urge people to share the good news when it comes,” Falcione said. 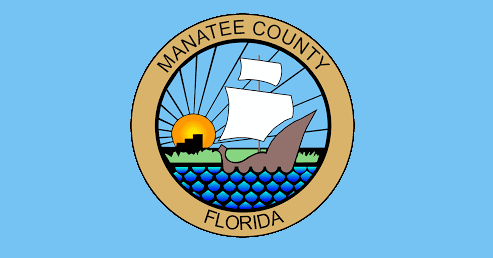 Whitmore, who serves as the TDC chair, said the red tide cleanup occurring at Coquina Beach and Cortez Beach in Bradenton Beach, Manatee Public Beach in Holmes Beach and Bayfront Park in Anna Maria is being funded using state-restricted, county-controlled, TDC-recommended resort tax funds. She said the additional shoreline cleanup is being paid for using the county’s general fund.